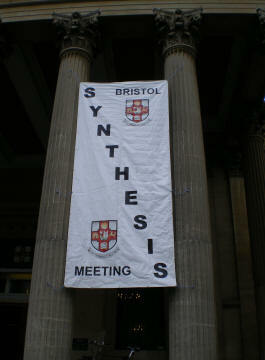 Organic & Biomolecular Chemistry are proud to sponsor the 2019 Bristol Synthesis Meeting, to be held in the Victoria Rooms, University of Bristol, 9th April 2019. The meeting boasts a fantastic line up of speakers including OBC Advisory Board members Helma Wennemers (ETH Zurich) and Ilan Marek (Technion, Israel Institute of Technology). Registration is now open, so for the full list of speakers and to register, see the Bristol Synthesis Meeting webpage.